“He hides in the shadows, watching, waiting, until the time is right . . .
After having stumbled upon many reviews praising Neil White’s work, I decided to start with the first book in the Dan Grant series on a rainy day when I was looking to get lost into a complex court drama. I must admit that this book had me hooked right from the beginning; the third person point of view of the stalker was striking and mysterious and the murder revealed in the first few chapters showed a lot of promise. Similarly, the introduction of Dan Grant as an up-and-coming criminal defense lawyer keen to support his client and simultaneously win his case was a bold start to what appeared to be an intriguing murder mystery. It was from this point when I found myself struggling to stay interested in the rest of the story. The writing felt disjointed and strained as the plot jumped from the past to the present and suddenly left behind the mysterious third person narrative of the stalker, something which really attracted me in the beginning. I was also not keen on the intent to establish a love interest for Dan as I felt that his character was bright enough without this added element and the sudden attraction to Jayne with barely any foreshadowing. Most of all, the pace during the middle of the plot was too slow without many developments on the murder case. It often felt like Dan and Jayne were following the same leads with no success which eventually became frustrating. Unlike the middle of the story line, the ending was completely sudden and significantly more fast-paced as Dan and Jayne worked together on the final lead to solve the mystery and defend the client in court as best as they could. I was especially disappointed to find out who the stalker is because this character felt redundant to the story line from the start. Nevertheless, the strong ending had a huge impact on the plot and storytelling and I have to praise the author on these final tense chapters. 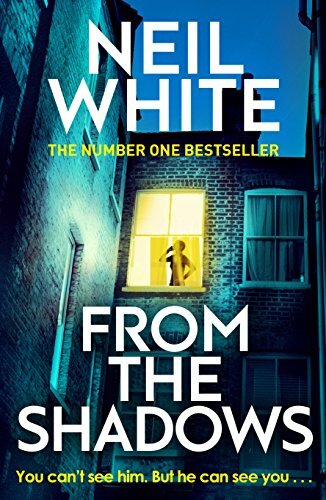 From the Shadows may not have been the fast-paced and thrilling read I was seeking but I think that others who are looking for a character-driven court drama may find much to love here. What a thoughtful and well-balanced review, Darina! Even though it didn’t work the best for you, you did an impeccable job outlining how it may work for others. Well-done. Thanks so much, Jennifer! ❤ I'm glad that you thought so as I often find writing reviews on books that I didn't fully enjoy quite challenging. This is an excellent and well balanced review, Darina! Court dramas can be very compelling and it sounds like this one has its strengths. I’m sorry to hear the rest of story didn’t quite live up to such a promising start. Thank you, Stephen! This one had its good moments but didn’t quite work for me, I’m sure that others may really enjoy it though.